I have been drinking in the Heron for 3 years now and have seen a hell of alot of managers come and go. I think the only manager that came close to being as good as Mags is now was Dave, i only relised something on the last day, made me laugh, anyway insted of picking holes in the heron actually come down experince different days there. I don't drink no where else thats for sure and i dont think you could get a friendlier staff team. Unsavory characters are slowly working their way back into this pub, although the smoking ban may deter them? Staff are unwilling to do any work, when you can find one! Food is a bit hit & miss, depending on who's working in the kitchen. Too many bar flies; have they never heard of exterminators?? 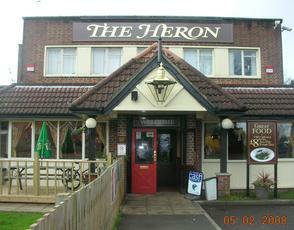 hi i arrived at The Heron on the 5th Feb this year. i plan on keeping out the unsavoury characters.